This holiday season 1 Million Women wants to put meaning back into your gift giving! In the days leading up to the Festive Season, 1MW will offer an alternative to what has turned into a hugely consumerist holiday. We give you a path to take on which you can ignore the external pressures telling you to buy more and that the more you buy, the happier you will make your loved ones. The holiday season is a time to share with your loved ones. Two amazingly important words; time and share. They are powerful and can be the best way to show you truly care about a person. Put the time you would normally have used going on an exhausting shopping spree to create something amazing or simply offer your time to be with the person. Share your skills and creativity with friends and family, share experiences, meals, laughs, and love with them! Have a think about the best gift you've ever received. Maybe it was something you needed, something that lasted through the ages, an experience that changed you as a person or brought you closer to someone in your life. These are the memories the Festive Season should be about creating for you and your loved ones! We are all about the power of your purse at 1 Million Women. The most powerful purses are the ones that demonstrate thoughtfulness, usefulness, and wasteLESSness (is that a word? Well, we just made it one!). It's not only about giving, right? You're bound to get the "what's on your wishlist?" It's a beautiful question that shows someone's desire to get you something that will please you! It's a great opportunity to green your wishlist. There's no shame in making "green energy" your number one wish this year! So as you gear up for the gorgeous holiday season, we want you to keep this thought in the back of your mind. To help get your creative and thoughtful climate goddess minds working, we've got some suggestions for the kids!s! 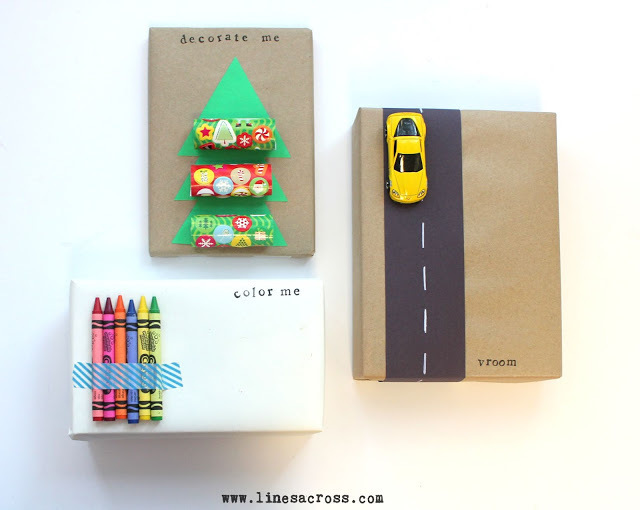 NO WASTE KID'S GIFT IDEAS! Kids are going to play a huge role in our planet's ability to cope with climate change in the future. If we can instill in them the importance of a smaller ecological footprint and if we can show them that sustainability is not about self-deprivation or self-sacrifice but of love and sharing and caring and all that is good, then we can create a brighter, more "Planet Strong" society. If you're going to wrap a gift, you may as well make it worth it. We love this idea because it turns something that is enjoyed only for a short moment before being torn off and discarded into something can be used, saved, and demonstrates creativity. It is much more likely to be remembered years down the road; that's for sure! You don't even have to buy them toys. What a relieving thought? It's great to open a gift and play with it for a bit but what if you gave them something to look forward to and that would keep on giving even after the holidays. 'How Does She' gives us some great non-toy gift ideas. Membership to an aquarium or zoo! Tickets to the movies or a musical! Lessons for a sport, instrument, or craft of their choice! Splurge on their favorite but rare (healthy) snack! All these ideas are wonderful. They expand your child's skill set and experiences without bringing clutter into your home or overflowing their toy chest. Even better, they're things that you can take part in as well. Festive food that'll have them singing Ho! Ho! Ho! I want mo'! One of the best gifts can be the gift of food! The best part is, it won't go to waste (just make sure you're using things you know they'll eat!). Or, sit in a toy cupboard for years to come but in the bellies of your little ones. Maybe it's jazzing up their morning breakfast, making them a Santa studded lunch or giving them a red and white afternoon snack. 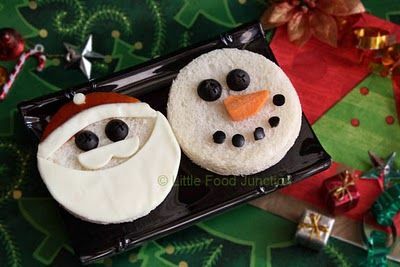 Even more amazing, have your little one help you make the festive treat! It'll be appreciated at the time and give them little holiday traditions to look forward to or look back on each year. 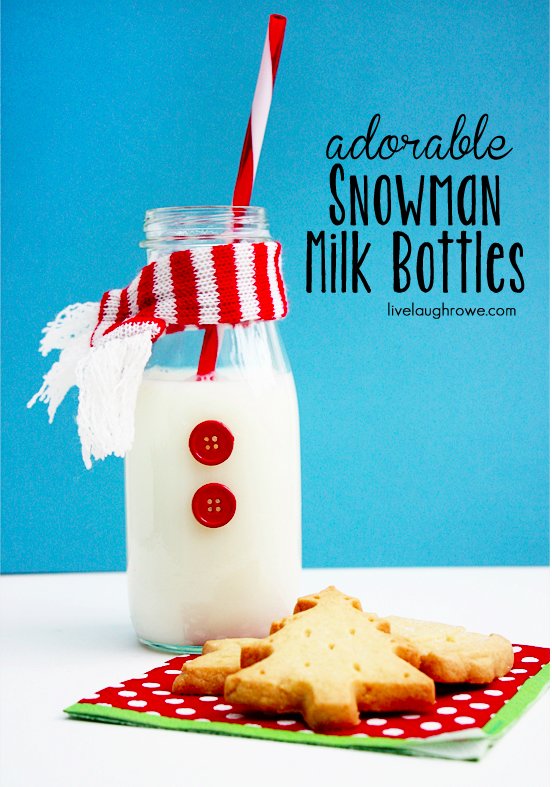 Get your kids to drink their milk by turning them into snowmen! With some cookies on the side? via Livelaughrowe. We'd love to know how you get your kid involved in a waste-free-festive season. Let us know in the comments section below!